Zita West believes busy modern couples often face four key issues when it comes to preparing for pregnancy, all of which can be helped through improved fertility education presented via the formats and channels that suits millennials. We live in a time in which we are busier, work harder, are more stressed and have less time for ourselves than ever. And this, says leading fertility expert, Zita West, is leading to an increasing lack of awareness surrounding fertility amongst both men and women in their 20s and 30s. At the heart is a general lack of education and knowledge about fertility and, in particular, how lifestyle factors can affect fertility. 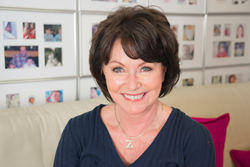 Zita, whose clinic The Zita West Fertility Clinic specialises in natural fertility alongside IVF, is passionate about educating couples on fertility, conception and IVF and The Fertility Show is all about education. Much of what is discussed in the show is based on the genuine questions people are asking inside the clinic. Zita believes busy modern couples often face four key issues when it comes to preparing for pregnancy, all of which can be helped through improved fertility education presented via the formats and channels that suits millennials. 1) Women who have increasingly been on the pill from the age of 15 or 16, and therefore haven’t had a chance to understand or become familiar with their natural menstrual cycles, need to learn how to read their bodies and spot their signs of fertility. 2) Couples believe in a myth that you have to try for a baby for a year before accessing help, but in fact there is a lot you can do during that period to increase your chances of falling pregnant naturally. 3) Although we exist in a culture of eternal youth in which couples live the same lifestyle in their 30s and 40s as they did in their 20s, they need to understand that fertility declines regardless. 4) Busy lifestyles lead couples to become increasingly mentally, physically and nutritionally depleted, and they would benefit from learning to spot signs of depletion and make changes ahead of trying to conceive.